Stewart Donald insists the consortium poised to take over Sunderland AFC are “rolling our sleeves up” to start a revival of the Black Cats’ fortunes. Subject to final EFL approval, an international consortium led by the Witney-based businessman will soon be in charge at the Stadium of Light after Ellis Short agreed to sell. 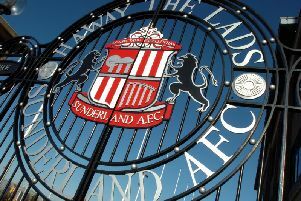 Donald described Sunderland’s new League One status as “unacceptable” but was adamant that the chance to turnaround the club’s flagging fortunes represented “an extraordinary opportunity”. He said: “All of us involved in this bid believe that Sunderland represents an extraordinary opportunity. As well as being in charge at Eastleigh FC, Donald has also played a role in Oxford United’s revival over the last ten years, as an investor, shirt sponsor and supporters trust committee member. He added: “Eastleigh and Oxford are different cases to each other and, of course, smaller than Sunderland. “The similarity, though, is that there is also a lot that needs to be addressed here, and it needs to be addressed with realism, focus and dedication. “For a club with one of the best fanbases, stadium and academies in the UK to find itself in League One is unacceptable. “We have a carefully thought-through plan to restructure the club, make it sustainable and, with the help of the fans, to restore its sense of pride and re-connect it with the local community. In a separate statement, Donald also told fans of Eastleigh FC that he was sad to be ending his association with the Vanarama National League outfit. He said: “It is with great sadness and regret that I have to inform the Eastleigh fans that I have put our football club up for sale. I have spent over six years at the club and from the very first moment I arrived I have been welcomed and treated with great respect and kindness and I am truly grateful for the support everyone has given regardless of how well the team have performed at any given time. “It is an emotional decision for me and one that I did not expect to have to make. However, with my potential involvement in Sunderland, it is a condition that I must relinquish control of Eastleigh. If the rules were different, I would have loved to remain with the club for many years to come. “Eastleigh has become, and will always be, extremely close to my heart. I have always tried to look after the club to the best of my ability and this will never be more important than now when considering perspective new owner/s. “The football club is in the strongest financial position it has ever been in. With a much-improved stadium and increased revenues enabling the club to seriously compete in the top tier of non-league football and whilst I have been unable to deliver League football, I hope the fans will reflect on my chairmanship as a positive one. “My focus now must move to finding a suitable owner who will understand the ethos of the club. It is vital to ensure that the club continues to provide affordable football and progresses on the field whilst incurring absolutely no debt. I always ensured Eastleigh was run without debt and that any money provided was never going to create any debt.